Sure, Stockholm has long attracted trendy travelers for its stunning architecture, ubiquitous design, and world-class cuisine. But at the end of the day, despite the capital city’s countless cultural charms, it’s still a bustling metropolis. Like any first-rate city across the globe, there’s an omnipresent frenetic energy that seems to permeate the air, with hoards of people shuffling along crowded cobblestone streets and the cacophony of active construction zones. Luckily for locals and tourists alike, this is just one of the many dynamic sides Sweden has to offer. For the ultimate digital detox, in-the-know Swedes flock to Värmland and Västmanland to escape the chaos of city life and reconnect with nature. The two historical provinces are nestled just a couple of hours inland from Stockholm and are easily accessible by public transportation. The stunning region is known for its untouched natural landscapes, including sparkling lakes, sprawling forests, and the jagged, staggering peaks of the Scandinavian Mountains. It’s a dream destination for anyone in search of a serene respite or rugged adventure, but it’s still surprisingly under-the-radar for North American travelers—that is, until now. From off-the-grid excursions to out-of-this world wilderness lodges, Värmland and Västmanland provide the perfect place to unplug. For those who want a truly remote experience and possess a do-it-yourself mentality, stay a couple of nights at the Kolarbyn Eco-Lodge. Catch an early morning, hour-long train out of Stockholm Central heading to Västerås (pronounced like Westeros in Game of Thrones), and the eco-lodge is just another 45 minutes farther in Skinnskatteberg. Known as Sweden’s most primitive hostel, guests of Kolarbyn won’t find typical comforts like electricity or running water. Instead, visitors sleep in one of the twelve, moss-covered huts that look like they’re straight from a Lord of the Rings movie set. Hidden within a clearing of a dense spruce forest, each hut is outfitted with tiny beds, cozy sheepskin blankets, and fireplaces for warmth. Guests can chop their own firewood and borrow pots and pans to cook meals over the communal fire pit, like a traditional kolbulle—a thick pancake filled with fatty bacon and served with tart lingonberry jam. Days can be spent soaking up the peace and quiet by hiking through the forest, or by renting one of the compound’s canoes to explore Lake Skärsjön. The lake is also home to Kolarbyn’s floating sauna that comfortably fits up to eight people. Once the sun sets, gather around the crackling fire pit to exchange stories with fellow guests beneath the stars. For the more extreme naturalists, Västmanland gives visitors the chance to channel their inner Rambo by learning bushcraft and survival skills from Jonas Vildmark. Operated by Jonas Landolsi and his wife, Therese, the team educates people on how to live off the land and outlast the elements in any worst-case scenario. Topics they can cover include how to find water; methods to build a fire; chopping and carving techniques; constructing shelter; the basics of hunting; and more. 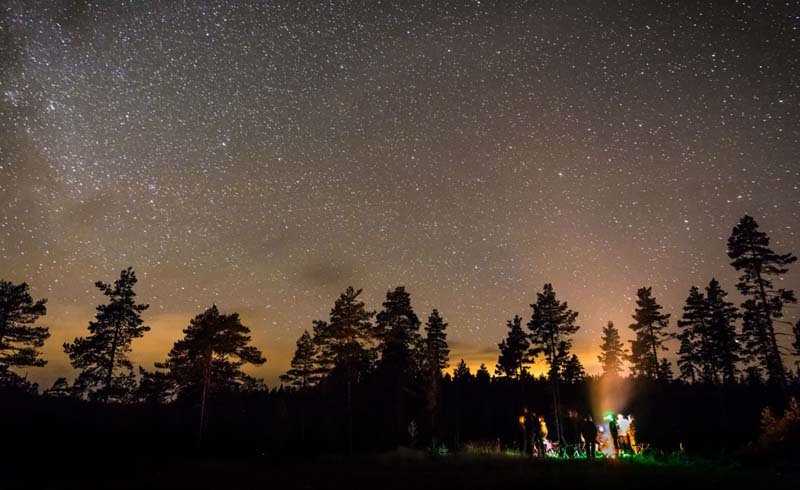 While they run on-site programs in partnership with Kolarbyn, they also have a Bushcraft Center in the small mining village of Riddarhyttan, 86 acres of wooded land in Hälsningland, and a cabin situated in Gottröra Roslagen. Another unique not-to-miss experience involves the region’s famed wildlife. In this remote region of Sweden, there’s no greater excitement than crossing paths with a wild moose. Nicknamed the “king of the forest,” these mighty beasts have widely adopted a nocturnal lifestyle due to generations of hunting, but they’re not impossible to spot. 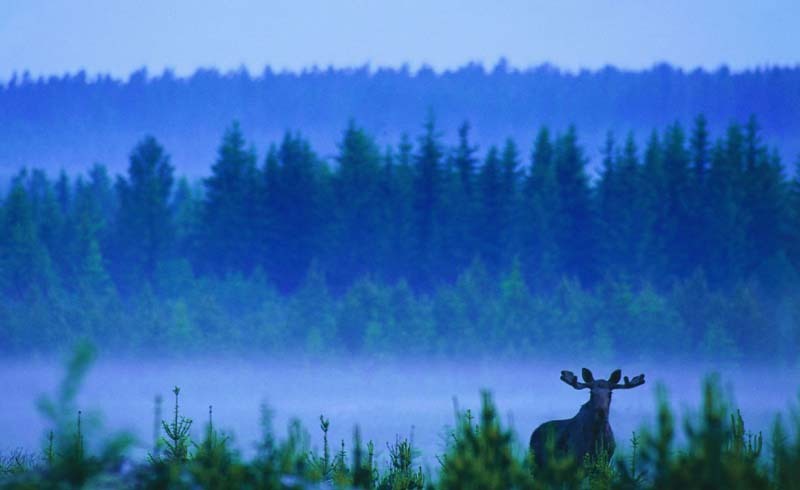 For your best bet, join an organized moose safari led by WildSweden, an official member of the Adventure Travel Trade Association, an award-winning tour operator. 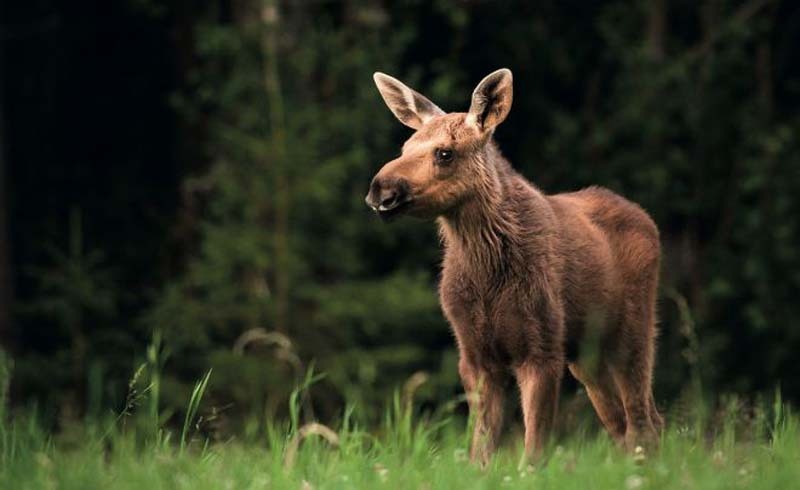 An experienced local guide leads small groups to a secluded lakefront hideout for a dinner of locally prepared specialties before hiking through moss-covered forests and blueberry bushes, all while sharing the secrets of tracking moose. Once night falls, hop into one of their caravans and spend the next few hours gingerly observing the animals in their natural habitat. WildSweden also offers a slew of other interesting experiences, like lynx expeditions, beaver safaris, and brown bear photography tours. For those who like to venture off the land and spend some time on the water, look no further than Vildmark i Värmland. Inspired by the bygone era of Sweden’s log drivers, this once-in-a-lifetime experience allows participants to build their own timber rafts from logs and ropes, then spend a few days floating down the River Klarälven through Värmland. Experts will literally teach you the ropes, and ensure that the raft is constructed to perfection before setting you off on your own. Single day trips to eight-day packages are available, allowing for each trip to be as organized or as loose as your heart desires, offering a refreshing departure from the meticulous schedules of many day-to-day routines. If an old-fashioned cabin camping experience is more your speed, fret not. The Vildmark i Värmland team also operates the Klarälvens Campsite in the Torsby Municipality, replete with an assortment of charming cottages decked out with the essentials. But for an even more secluded experience, pay a visit to Thomas Peterson at Naturbyn; a mini nature village overlooking a tranquil bay in Lake Eldan Värmland. Nestled amongst the spruces and pines, the site is home to a collection of hand-built log cabins, treehouses, and even a floating houseboat. There are also plenty of other perks to enjoy at Naturbyn, like a waterfront sauna, fire-heated hot tubs, and a shared dining space, where guests are welcome to cook their meals over a roaring fire and eat surrounded by candlelight. With no electricity or WiFi, it’s easy to unwind and be reminded of life’s simple pleasures. And when it comes to fully appreciating that mantra, there’s truly no better place to accomplish that than in the heart of the rugged Swedish wilderness.